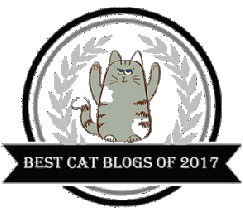 I’m delighted that you’ve stopped by to learn more about the behind the scenes activities here at the Klepto Cat Mystery factory. Welcome fans and future fans of Rags, the clever klepto cat and his feline, equine, canine, and human friends. I’ve been writing for publication since 1973 when I submitted my first article to Horse and Horseman Magazine. 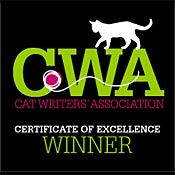 Motivated by their exuberant acceptance and a passion for writing, I was able to create a freelance writing business that I pursued for the following forty years. In 1978, I wrote my first book and it was published by the first publisher I contacted, A.S. Barnes. Five years later, I established my own publishing company, Matilija Press, and began producing additional books on a variety of subjects—all nonfiction. Keep in mind that my tools would be considered primitive by today’s standards. I started my career using a manual typewriter and a lot of white-out. (For those of you under fifty, that’s how we used to correct our mistakes on a typewritten page—by painting them out and typing over them.) There was no Internet then, so I mailed my submissions and received the yay or nay by snail mail, as well. Everything moved slower in those days. For example, it took me five years to research and write my 300-page book, The Ojai Valley, An Illustrated History. (And I’d graduated to an electric typewriter by then.) Now, I’m producing six books per year. When the computer became commonplace in our homes, everyone who ever wanted to write began writing—their memoirs, their grievances, poetry, novels, how-to books… And many of them came to me for advice. Long-story short, I started presenting workshops on the business of writing—publishing and promotion. And I wrote numerous books on these topics. For years, I traveled throughout the United States and beyond speaking at writers conferences. 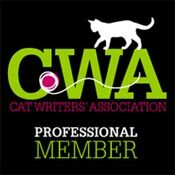 And I began consulting with hopeful authors and established an editing business to go along with my writing work. As part of my routine, I would stop every few years and evaluate my career, asking myself, among other things, “Are you still having fun?” And I always responded, “Yes!” Certainly, I’d make a few adjustments in my business. I might decide I’d rather do more consulting or more speaking engagements, for example. However, when I did my evaluation in 2012, my answer had changed. I knew that I wanted to continue writing, but I was feeling a little burned out with the world of nonfiction. That’s when I decided to do something I’d never done before. 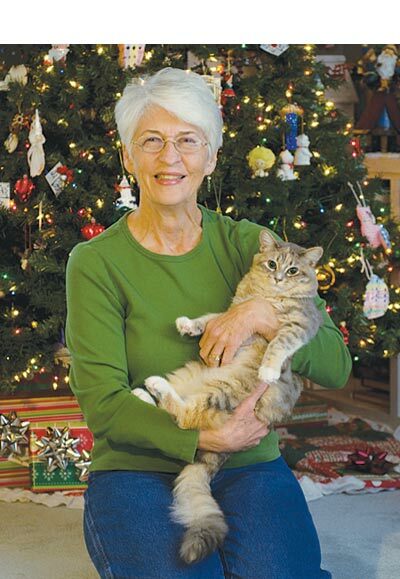 Patricia Fry, the dedicated nonfiction—no-nonsense—writer and speaker was going to write a novel—a cozy mystery. 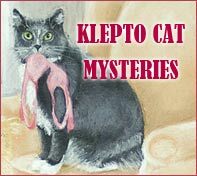 And the Klepto Cat Mystery series was created. By the time you read this, in May-June of 2017, Book 23, Cattywampus Travels will be published. This brings my total of published books to 65—and counting!! Now, when I ask, “Self, are you having fun?” I respond with a loud and clear “Absolutely!” I’m having the time of my life. And I hope my joy comes through in my stories and you are having fun, too.